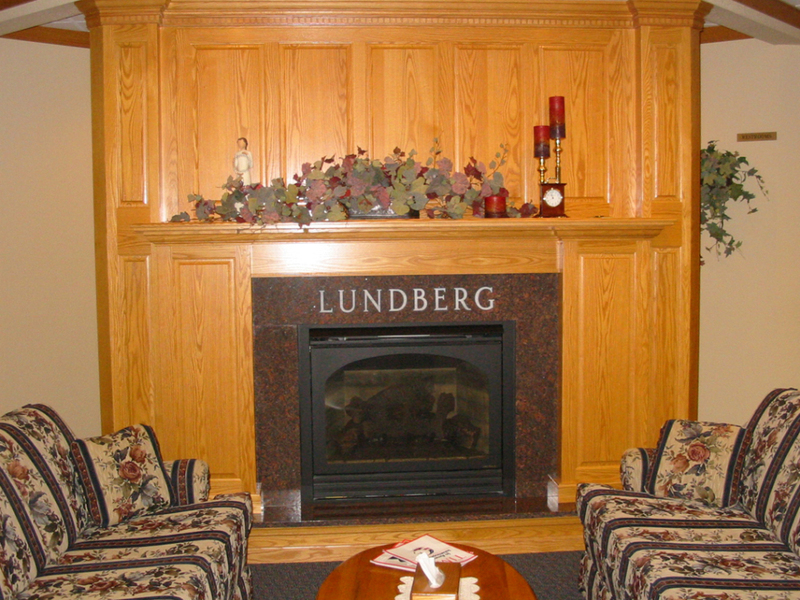 Lundberg Funeral Home has been caring for the needs of families in the Cannon Falls area for many generations. The 6,250 square feet handicap accessible facility is located at 5839 Highway 19 Blvd. in Cannon Falls. 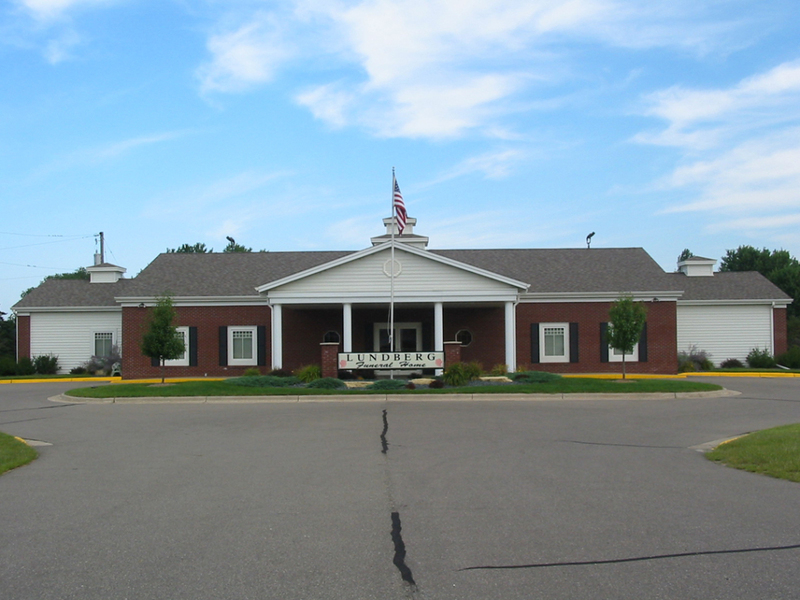 An open house was held on August 30, 2006 at the funeral home to celebrate a major remodeling project. The renovation of the structure was an important step in the long line of progress in the family owned business. Bringing the "home" atmosphere back into the funeral home setting was the basic concept behind the project. The renovation made the funeral home completely handicapped-accessible and more in tune with today's needs. The building is now about a third larger than it was previously, with a larger foyer/lobby area, a beautiful custom made fireplace, a new chapel, new furnishings, a comfortable new family lounge, and spacious foyer. 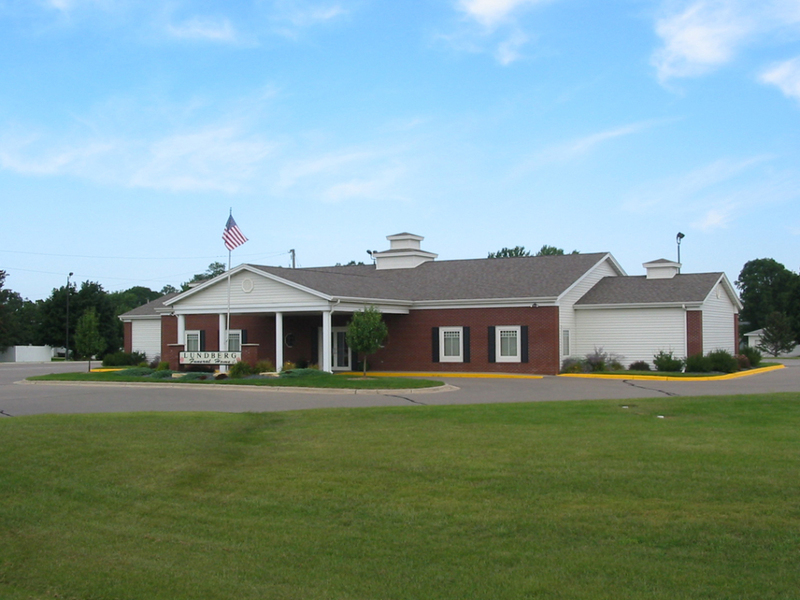 The staff at Lundberg Funeral Home offers several different types of services, enabling families to memorialize their loved one with a funeral or memorial service, utilizing earth burial, entombment, or cremation. 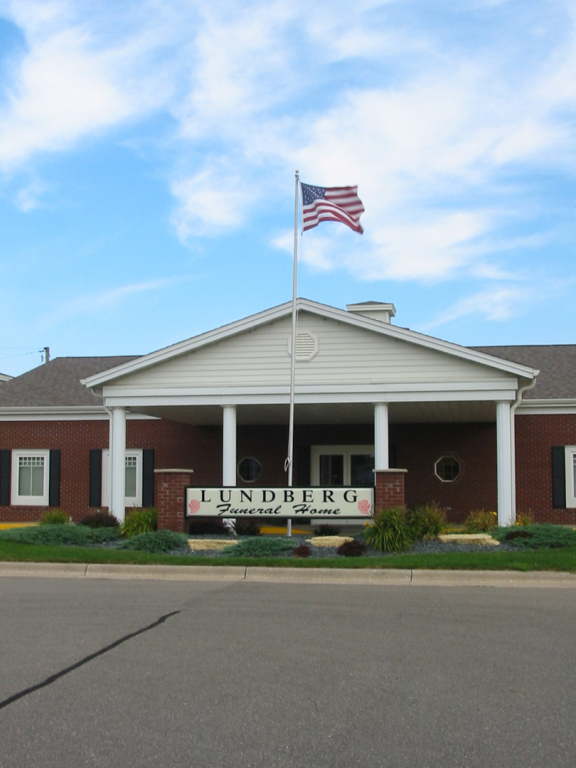 The training and experience found in the staff at Lundberg Funeral Home has prepared them to help, to reassure, and to understand when a family faces the loss of a loved one. Another service offered at the funeral home is assistance in pre-planning the funeral, a way to reflect on one's life before the time of need, which helps loved ones plan a celebration that is both meaningful and comforting to survivors. It is sometimes difficult for families to discuss the topic of funeral arrangements." Julie Harrigan, Pre-arrangement Specialist says, "My experience has been that after a pre-planning meeting, people feel a sense of peace, knowing they have taken care of so many important decisions". 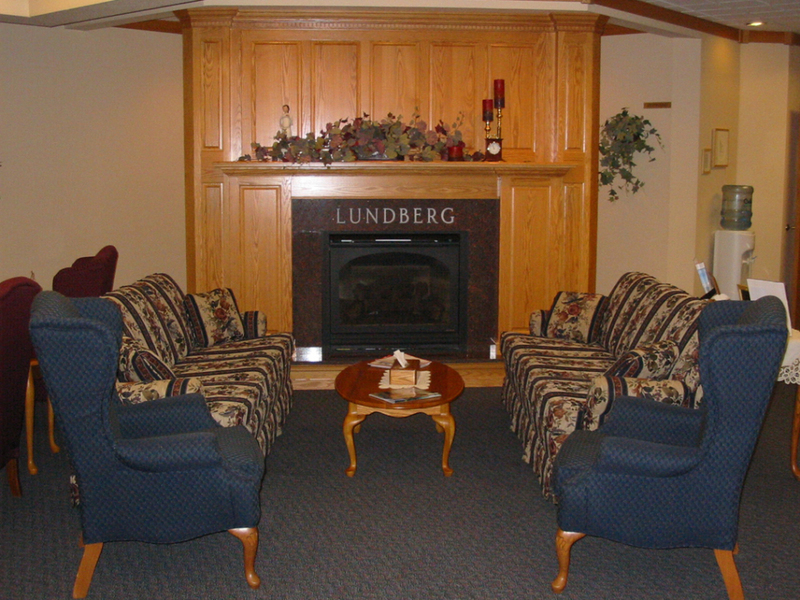 In addition to funeral services, memorial services, and pre-planning services, Lundberg Funeral Home provides several other services to the community. The funeral Home is home to a grief library, full of grief support books, available to the community to stop in and read a book, or to check one out for home use. You are welcome to stop by to tour the facility.